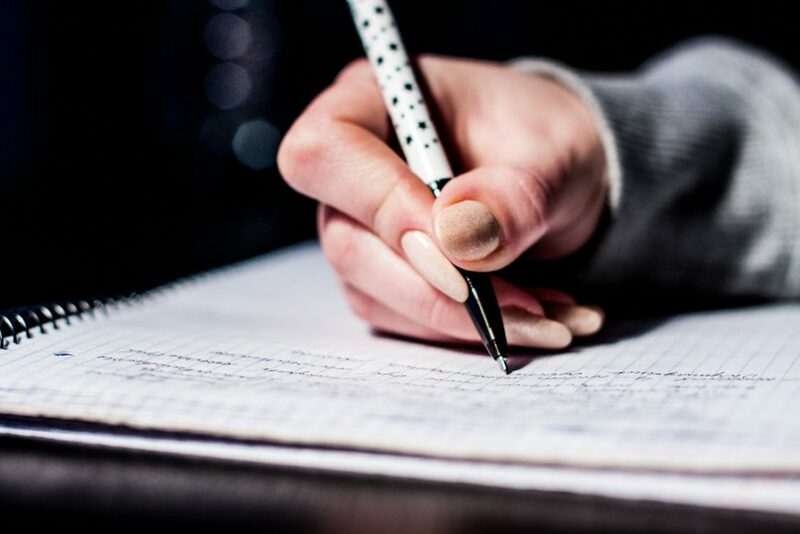 For a five paragraph essay, which is what students will most commonly encounter in middle school, the three body paragraphs should adhere to the information/details in the thesis statement. In the previous example, the thesis statement includes three reasons for the increase in recycling efforts over time. These three reasons will make up the three separate body paragraphs. Again, the purpose of the outline is to organize the writers’ thoughts, pieces of evidence, direct quotes, and their own interpretations so that the essay is essentially mapped out and organized prior to writing. Just like in the introductory section of the outline, the organizer for the body paragraphs does not need to contain complete sentences either. The bullet points are there to succinctly indicate the support that the writer wishes to refer to in the argumentative essay. Finally, the standard conclusion paragraph, much like the introductory paragraph, does not need to be particularly lengthy, especially for middle school writers. The key is that the conclusion reiterates the writer’s position without exhausting previous points or introducing new information. The details should be familiar and relative enough to tie the essay together. The concluding paragraph will essentially mirror the introduction, but with varying word choice and fresh sentence structures. Again, if the prompt asks students to explain why recycling efforts have seemed to increase over time, this could be a simple outline for a student’s conclusion paragraph. As stated in the paragraphs above, recycling has increased over time because of the rise in population, the increased worry over health concerns, and the alarming evidence of the detriment to our environment. Although records trace the first evidence of recycling back to ancient Japanese scribes, the efforts are more important now than ever before. With so many ways in which people can reduce by reusing, the push for recycling has no wonder spiked. If I had a pencil for every time I received a well-intended, but slightly rude, terse, or thoughtless email from a student, I could give Staples a run for its money. However, the positive thing about receiving one of these poorly organized emails is that it shows student initiative. Even a terribly composed email means that a student had the forethought to reach out for help and clarification. Another upside to the careless email conundrum is that it can be easily mended with a few helpful pointers and some practice. 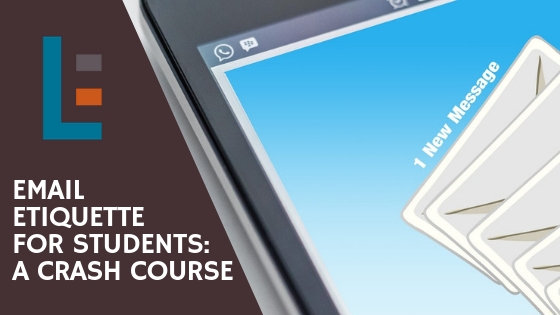 Whether students are in elementary school, middle school, high school, or the post-secondary level of their education, email etiquette is a crucial skill for communicating with educators and advocating for themselves as learners. Starting young learners early with digital literacy skills and expectations allows them to build that critical foundation for blending communication and technology. Always begin with a cordial greeting or salutation that suits your recipient. If students are emailing a friend or classmate about tonight’s homework, a casual greeting and the peer’s first name is fine. However, if emailing a teacher or principal, students should consider a more formal greeting and address the recipient as Dr., Mr., or Mrs. Students should know that jumping straight into a question or request without a standard greeting creates a demanding or somewhat rude tone, whether intentional or not. After the greeting, cut to the chase. Explain why you are emailing—what is the intention or purpose of this email? What information or response are you seeking? Keep it direct and concise, as to remove superfluous details or long-winded paragraphs. Take ownership of the question. For instance, if students are emailing about the homework assignment because they forgot to write it down, they should make mention of their error or oversight briefly in the email. This helps to show the teacher that, while the student may have neglected to write the assignment down, she is taking ownership of that mistake and taking initiative to remedy the situation. Be specific about the class that you are referring to in your email. Teachers often teach many courses, grade levels, or even subject areas. So if you are asking about the notes, handouts, or announcements that you may have missed, be sure to clarify which course or class period you are asking about. Especially for middle and high school students, pacing can vary from period to period, so it is especially helpful to remind the teacher of which specific period and date you are seeking information or materials for. Finish with a cordial closing to thank your recipient in advance. 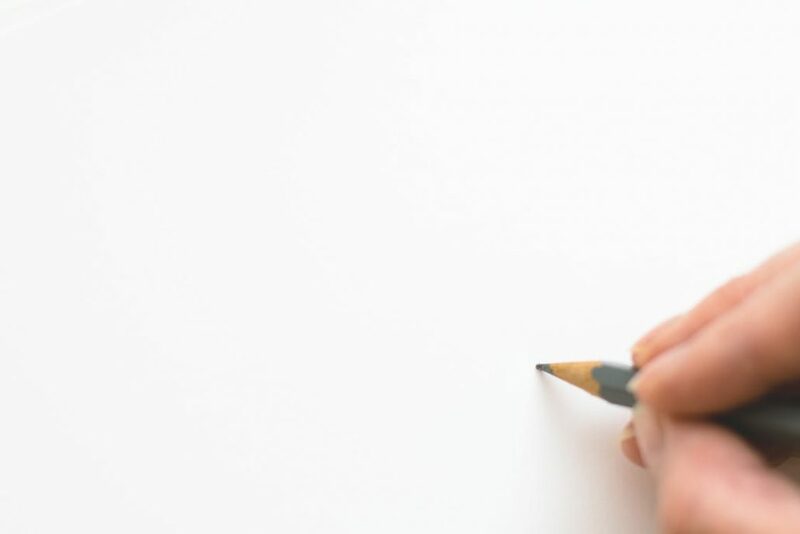 Be sure to digitally “sign” your email by including your full name. This is crucial. Oftentimes, students neglect to include their name at the end of an email. Too often when this happens, I am left wondering which of my 150 students could be soccerlover18@gmail.com, for instance. This makes it very difficult to provide a helpful response when teachers do not know who sent the original email. Once students have reached high school, writing becomes an entirely new beast. From the research project, to a multi-page literary analysis, high schoolers are somewhat expected to have crafted their writing skills to a certain degree. Aside from college, where many of them will be analyzing scholarly articles and writing 20, 30, 40 page papers, high school writing tasks are as advanced as they have seen thus far. Perhaps even more surprising to students, is the fact that lengthier writing assignments will occur in every class, not simply English. With this knowledge, it is essential that high school students improve in their ability to proofread. High school students can use cooperative learning strategies to proofread and peer edit more efficiently. For example, if three students decide to peer edit as a group, one group member should focus his criticism and editing to one area, grammar, for instance. While one group member reviews all three papers for grammatical missteps, another should focus solely on vocabulary, word choice, and spelling. This person should be accessing online thesaurus and dictionaries to ensure that terms and phrases are appropriately used. Finally, the third member of the peer editing group should be in charge of examining content—that is, does the writing masterfully address the prompt? With the tasks split up in such a way, students are more inclined to provide solid, effective feedback—as opposed to the smiley faces and “Good job!” that we teachers are so used to seeing after a peer edit. High school-level writers can streamline their proofreading practice by using symbols or digital highlighting tools to flag errors or areas of need in their writing. Students may want to read their paper through once simply to identify where any issues lie. During this process, they will only mark or highlight areas in the paper where they should revert back to during revision. After issues are highlighted, writers should go back into their paper with a more fine-toothed comb approach. This means that, now that weak or confusing areas in the essay have been identified, they can really dig into making corrections specifically on the sentence level, correcting one line at a time. As many times as we tell students, it still baffles me that they disregard the warning: DO NOT RELY ON SPELLCHECK! By high school, students must be proofreading on a cognizant, deliberate scale—simply correcting all of the red squiggles will not suffice. Moreover, many spelling or grammar mistakes are mislabeled or ignored by spellcheck software. High schoolers must be prepared to take proofreading into their own hands; their knowledge of writing skills is much more reliable than the computer’s spellcheck. Writing is an essential skill that children will encounter in every class as they progress through their education. An important aspect of the writing process that is not always explicitly taught is proofreading and editing. These skills are honed over time, but it is never too early for young writers to begin learning the ins and outs of proofreading their work. For elementary schoolers that are just beginning the early stages of the writing process, the entire task can seem daunting, unfamiliar, and complex. Thus, it is important to ease into new writing concepts. One thing to start with is to teach students that proofreading is not an optional step—but instead, a crucial part of the writing process that should not be skipped or rushed through. The sooner young learners begin the process of checking their work, the better. The concept of proofreading and self-checking is beneficial because it translates into every academic content area. Students that proofread their writing likely double check their math, science, etc. It shows elementary schoolers that proofreading is not only about checking for errors, but taking a more active role in their learning. This sense of agency and self-advocacy is immensely important as students transition from elementary school to middle school. Prepare students to begin proofreading by looking at one thing at a time. For instance, elementary schoolers may want to begin simply by looking for spelling errors. Narrowing their focus to just one aspect of the writing lessens the daunting feeling of having to perfect the writing in one fell swoop. Perhaps the most important question that young writers should ask themselves before, during, and after proofreading is: Does my writing answer or address the prompt or question? Often times, especially with children that are just beginning to learn writing skills, the work takes on a mind of its own—kids get so into what they are writing, that they lose sight of the original purpose or focus. One way to help elementary schoolers identify this lack of focus or cohesion, is to provide visuals of the prompt, sentence frames, and checklists for final drafts.